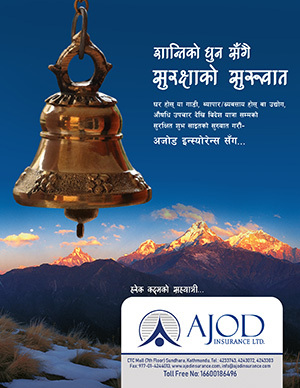 Mega Bank Ltd and Sun Nepal Life Insurance Company Ltd have endorsed Bankasurence agreement. Along with endorsement of the agreement, Bank’s clients will receive the facility of life insurance service from all 102 branches of the Bank all over the country. Also, clients can receive premium payment and also payment against the claim from the Bank’s branches. CEO of the Bank, Anupama Khunjeli and acting CEO of the Sun Nepal Insurance Company, Rajkumar Aryal signed the agreement amidst a function last week.